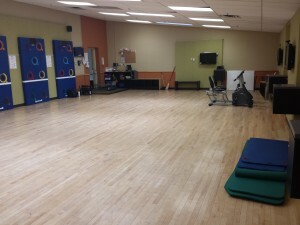 The ExerZone room at the Camelback Village after installation. Equipment and games such as the EyePlay, Exerbike, and 3 Kick among others, have really inspired and motivated kids to workout and be active. Not only do they get to fight the obesity epidemic and stay fit, but their parents know that they are in a safe environment with someone overlooking it. They are now opening up a new location at the Ocotillo Village Health Club & Spa, in Chandler, Arizona. 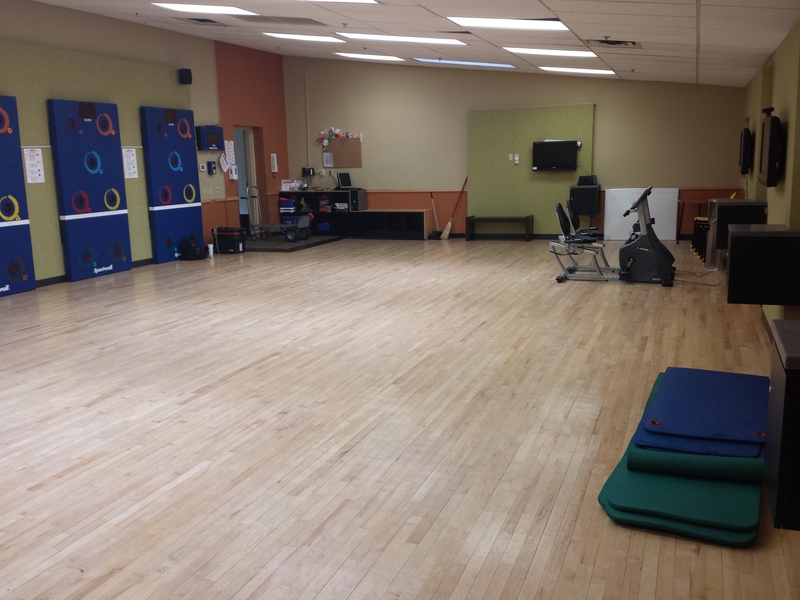 They were so pleased with the performance of the equipment and member’s reactions that they decided to re-invest in our Exergame equipment and add it to the Ocotillo Village location. 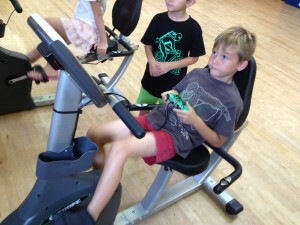 Currently the EyePlay is the only Exergame Fitness product there, but they are adding Exerbikes and iSteps very soon. Having this interactive workout room for kids has the same benefits as the other location, peace of mind for parents and also getting kids into fitness. 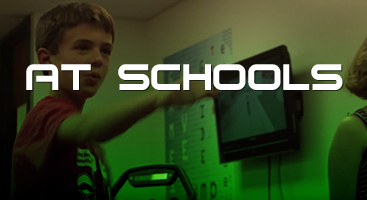 The kids using the equipment develop great social skills, instead of doing something solo or with a small group like a traditional workout room might behave. Most of the equipment is multiplayer and everything is so simple to pick up and play, so it is a huge success with the kids. Stories like this are not only good for us, but good for the industry as a whole. The more that people can engage in fitness and sports is good for everyone. The people that gain the most from it are those who are now healthier. Our goal is to get people who otherwise may never become engaged in fitness and living a healthy lifestyle, to become more involved. Some people don’t need the route of interactive fitness technology, but we can see here it certainly helps engage kids today who grow up with technology from the moment they were born. We are seeing that this type of technology has been and will continue to be very successful with kids at the Village Health Club & Spa locations. You can read and see more about their kid programs and activities here, and any questions or comments you may have about the facilities or experiences you can contact the Village here.